Goa Records with Sonesta Records are pleased to present Solar System, Dj magazines #85 top 100 Producer for 2008, featuring his Private Selection of his all time hit singles never before compiled in one place. Lior Lahav a.k.a Solar System was born in the city of Naharyia. 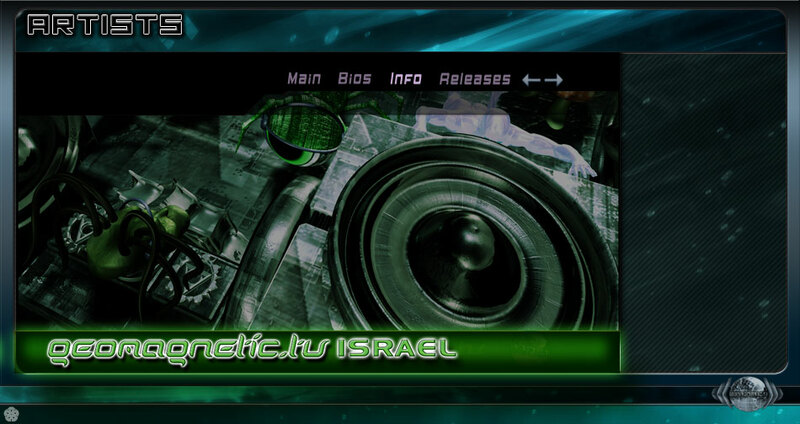 Born in 1982, the diligent artist has contributed immensely to the Trance culture in Israel. Taking inspiration from various disc jockeys and artists, Lior became a disc jockey at the youthful age of 18. It was not long before he exploited his potential and started production. Liors' project Solar System, reflects his Full On style of composition, which is particularly appreciated at open-air gatherings. Although his style may be broadly defined as Full On, his upbeat, melodious and deeply tuneful tracks segregate his music from the rest of the artists that fall in this category. Lior..s inclination to make powerful tracks allows him to pull the crowd into the vortex of energy that revolves around his persona. His ability to create a vigorous atmosphere is highly appreciated by many personalities in the Trance community around the globe. He has been producing for over 10 years at his home studio in Israel. Solar System has 20 releases on prominent compilations such as K-Files (Utopia Recs. ), Goa 2005 Vol. 2 (YELLOW SUNSHINE EXPLOSION), Radioactivity (Point Zero Recs. ), Radioactivity Part 2 (Point Zero Recs.) and Open Air Vol. 4. (YELLOW SUNSHINE EXPLOSION). Solar System tracks are released by distinguished record labels such as Psytropic, Yellow Sunshine Explosion, Midijum, Trancelucent, Alchemy, Vision quest/mp, Tribal, Point zero, Mgma, Substical, Utopia, Heart of Trance, Darcu, and more etc. To add to his credentials, Lior has traveled extensively to showcase his talent to many cities. Solar System has played in cosmopolitan cities such as England, Denmark, Germany, Portugal, Switzerland and Brazil.